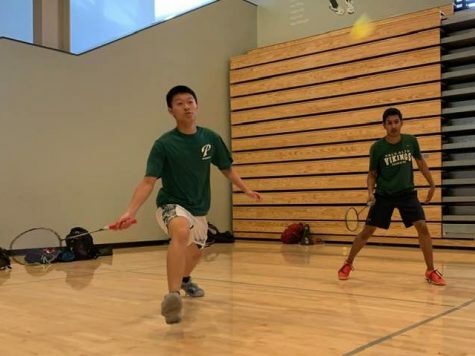 In its last home game of the season, the Palo Alto High School boys’ tennis team fell to Saratoga High School, 2-5, in a De Anza League match yesterday at Paly. 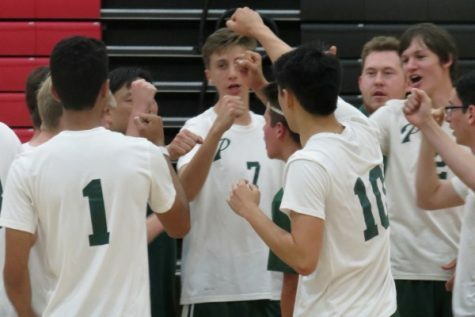 Heading into the match, Paly knew that the Falcons would be a challenge, as they are an exceptionally strong team. 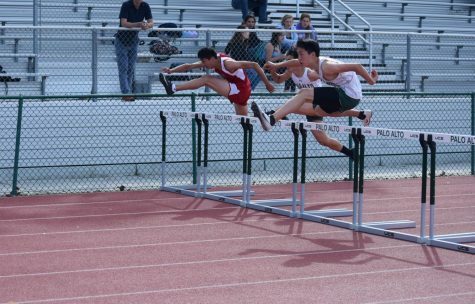 “Saratoga definitely is a good team; they’re one of the best teams in our league,” junior Andrew Shieh said. 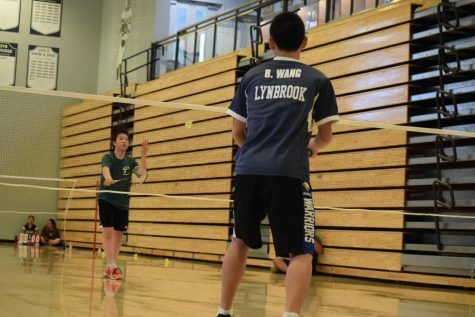 However, knowing what the team was up against, it established a strategy of playing at the net that the players hoped would allow them to win more games. 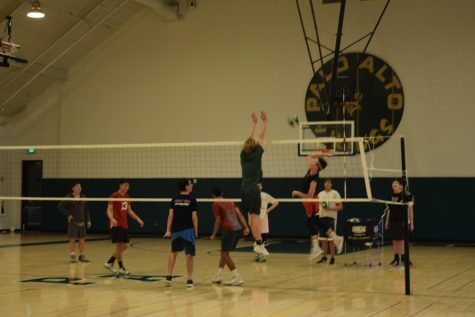 “Going into the match, we definitely wanted to not get stuck at the baseline, and be able to come to the net at the right time in order to get the upper hand,” junior Johnny Loftus said. 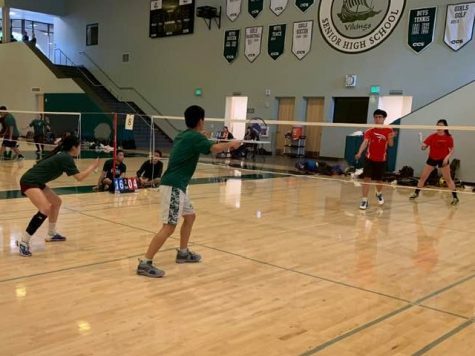 The Vikings were unable to pull off an overall win against Saratoga, with only senior Sean Young, senior Jerry Hong, junior Preston Sterling and junior Vijay Sharma procuring wins in Doubles 2 and Doubles 3, respectively. The Vikings previously lost to Saratoga, 1-6, on March 14. Head Coach Andy Harader was impressed with the team’s performance. Junior Preston Sterling felt the sting of the team’s loss, but understood that the team did its best. “It was a little disappointing to lose today, but Saratoga is near the top of our league, and we did do better against them this time,” Sterling said. He and his partner Sharma played a very strategic game, ultimately winning 6-1, 6-0. Despite the teams overall loss,Young and Hong won their doubles match 6-3, 6-1. Young said that he was satisfied with both their performance and the overall team performance. “Jerry and I won easily, but I’m still proud of our team for fighting hard; Saratoga is probably the best or second best team, and I think we did well,” Young said. This match was an unique occurrence for him, because he is usually a singles player. 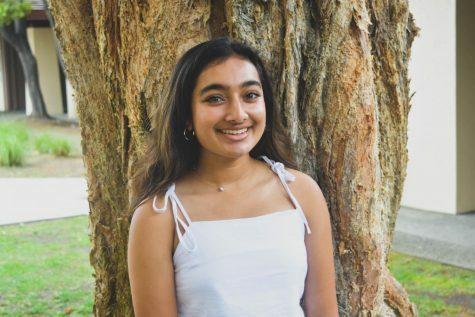 “Doubles is a completely different style of tennis, so it was a new experience for me to win against a good doubles pair,” Young said. 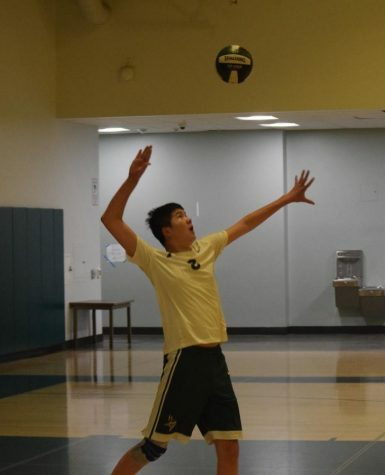 Young is optimistic about the team’s performance during their next match against Los Gatos High School. 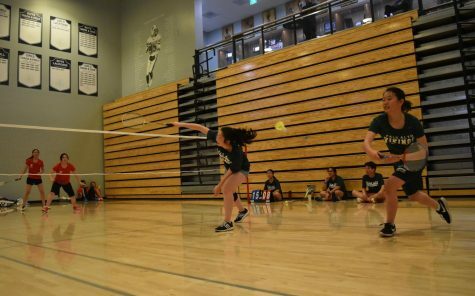 Harader echoed this sentiment, emphasizing that the team has done very well this season and is equipped to beat Los Gatos. 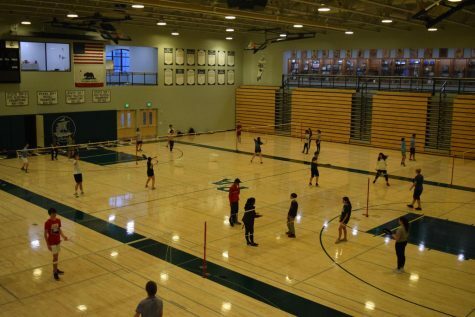 This will allow the boys’ tennis team to stay in the upper De Anza League of the Santa Clara Valley Athletic League next year. 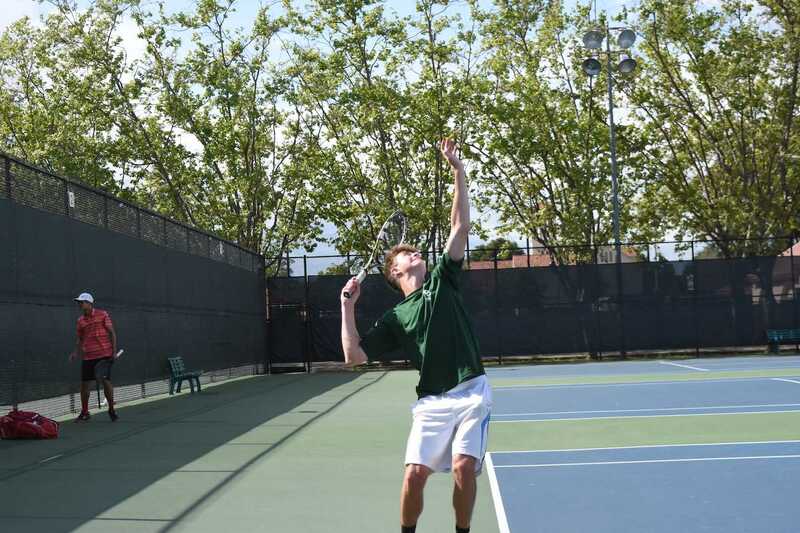 The Vikings’ next match is against Los Gatos High School at 3 p.m. on April 13 at Los Gatos.